The most prevalent method for obtaining images of clogged coronary vessels is coronary angiography. For some patients, however, the contrast agents used in this process can cause health problems. 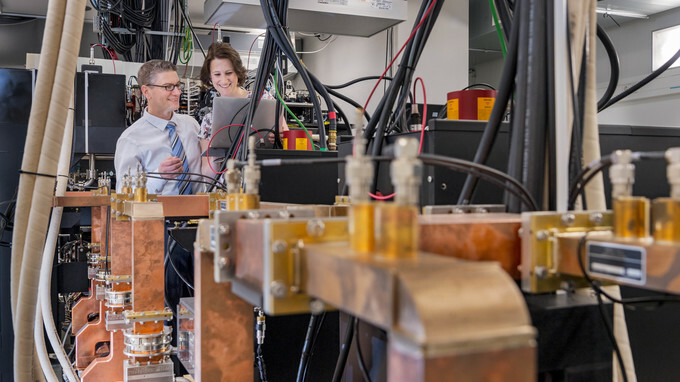 A team at the Technical University of Munich (TUM) has now demonstrated that the required quantity of these substances can be significantly reduced if monoenergetic X-rays from a miniature particle accelerator are used. Soft tissues such as organs and blood vessels are nearly impossible to examine in X-ray images. To detect a narrowing or other changes in coronary blood vessels, patients are therefore usually injected with an iodinated contrast agent. 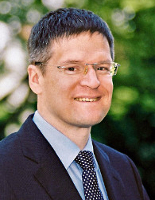 One approach to reducing the dosage has now been developed by scientists from the Department of Diagnostic and Interventional Radiology at the Klinikum rechts der Isar, working in close cooperation with the Chair of Biomedical Physics at TUM’s Physics Department. The method, which they have described in a paper published in Nature Scientific Reports, is not based on new contrast agents. 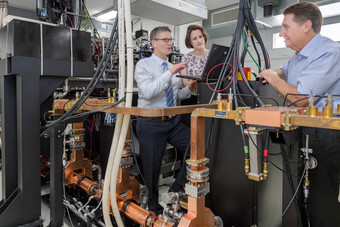 Instead it relies on special X-rays generated using the Munich Compact Light Source (MuCLS), the world’s first mini-synchrotron, which was officially inaugurated at TUM at the end of 2015. 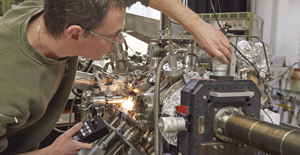 “Conventional X-ray sources generate a relatively broad range of energy levels. By contrast, the energy of X-rays produced by the MuCLS can be controlled much more precisely,” says physicist Elena Eggl, the first author of the paper. Contrast agents such as iodine and gadolinium have an absorption edge. That means that when the substance is exposed to X-rays of a certain energy, the contrast of the final image of the marked organ is particularly good. Below the absorption edge – about 30 kiloelectron volts (keV) for iodine – the contrast deteriorates rapidly. The contrast also becomes weaker at energies far above the absorption edge. As a result, when using conventional broad-spectrum X-ray sources, an adequate quantity of contrast agent must always be used in order to offset this effect and obtain a sufficiently sharp image for a diagnosis. The MuCLS can generate X-rays that have exactly the optimal energy level. The capability of producing such monoenergetic X-rays has existed for some time. In the past, however, this was possible only with circular particle accelerators with a diameter of several hundred meters. In contrast, the MuCLS is comparable in size to a car. The data shows that monoenergetic X-rays would make it possible to decrease the required concentration of iodine by about one third with no loss of contrast. For gadolinium, there would even be a somewhat greater reduction. A lot more research is needed, however, before real patients can be examined with monoenergetic X-rays. 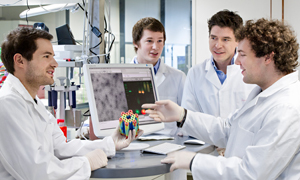 “We’re still at the very beginning of the development of this technology,” says Elena Eggl. The MuCLS is the very first machine of its kind. Moreover, it is designed for fundamental research, and not for examining patients. But with detailed computer simulations and tests with a pig’s heart, using blood vessels dyed with iodine, the researchers were able to demonstrate feasibility of the method. 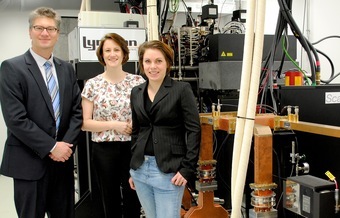 The research was funded by the German Research Foundation (DFG), Munich-Centre for Advanced Photonics (MAP) cluster of excellence, the Center for Advanced Laser Applications (CALA), the Ministry for Education and Research, and the DFG Gottfried Wilhelm Leibniz Program.